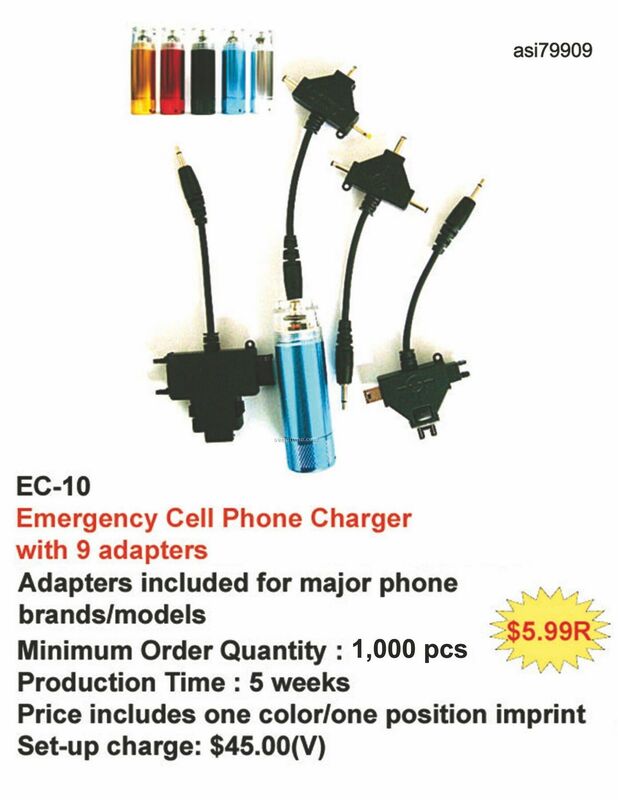 Description: Emergency cell phone charger with 12 adapters. 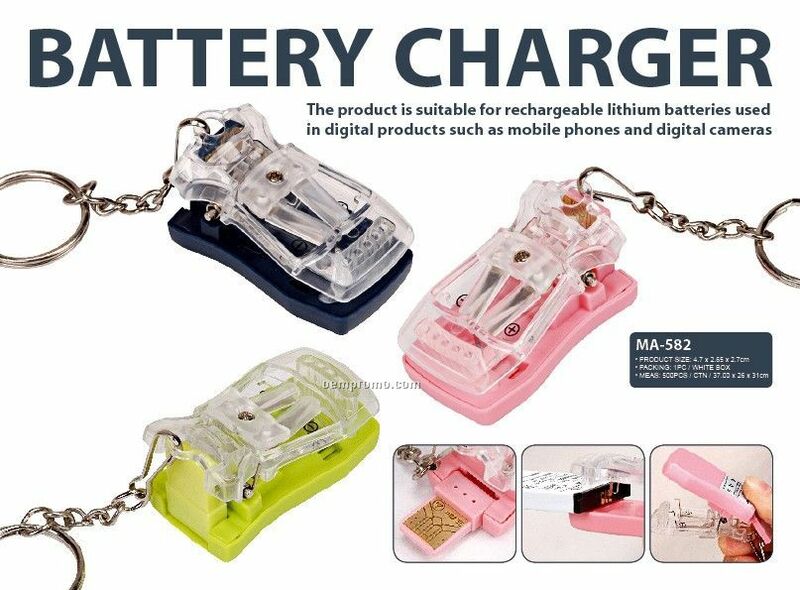 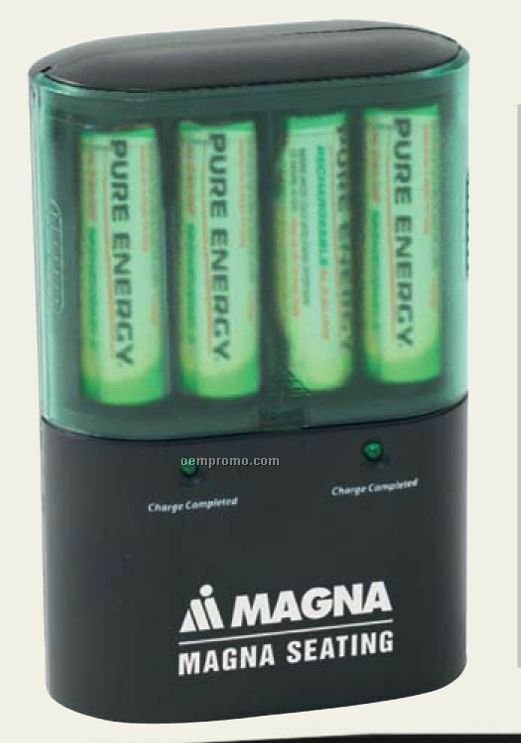 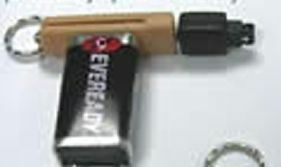 Charge your cell phone with just one AA battery. 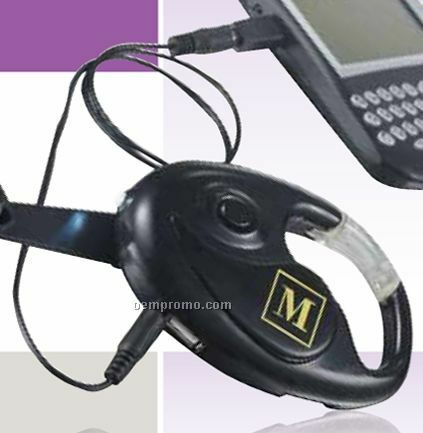 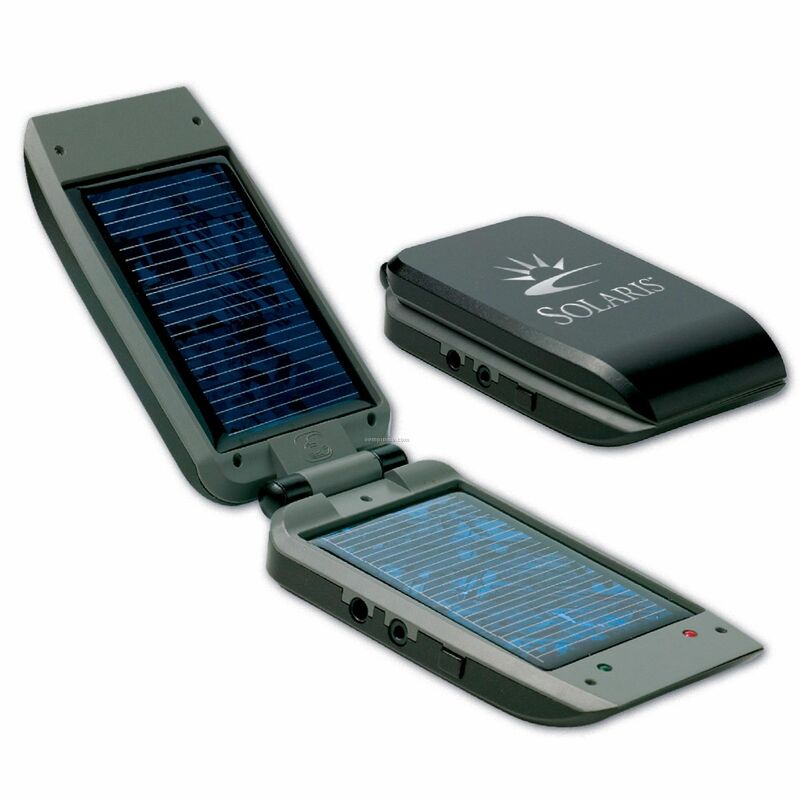 Provides 100 to 180 minutes of talk time (depending on the brand of cell phone). 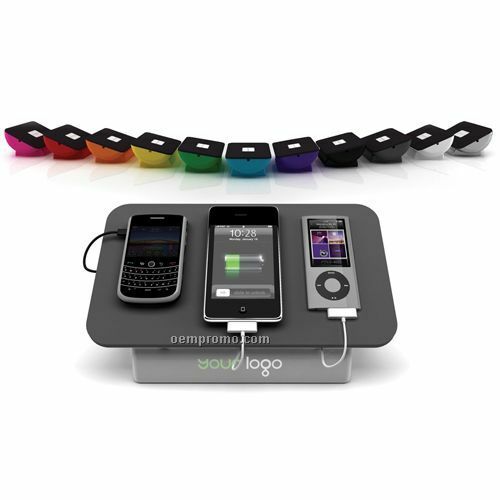 Adapters included for major phone brands and models.